Working on an internship résumé can be challenging. For some applicants, it could be their first time crafting one and they may not have any relevant work experience under their belt to include in their résumés. If you’re one of them, don’t panic – employers who offer internships are generally accepting of applications without prior work experiences. We all need to start somewhere after all! However, it doesn’t mean you can just send in a blank document marked as your résumé. 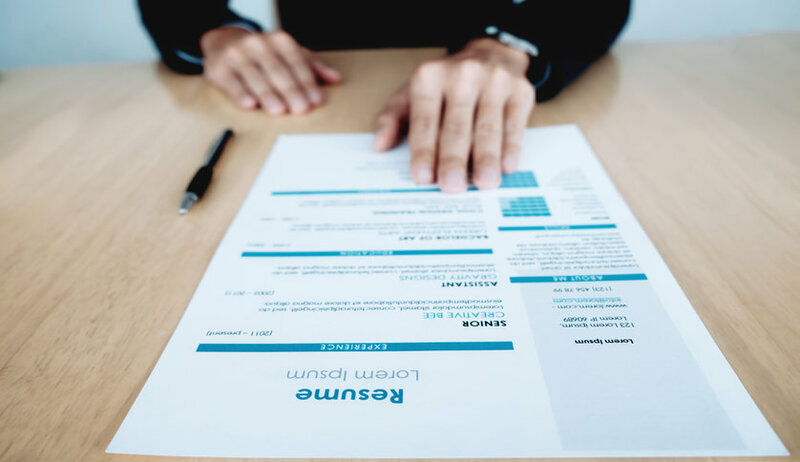 There are a couple of things that you can put into your résumé other than relevant work experience to show that you are the right candidate for the internship position. Start by introducing yourself and your professional goals. Briefly describe what you wish to achieve professionally and with the organisation you are applying for. By outlining your motivation, employers are able to see if this position or industry is the right fit for both the applicant and the organisation. It’ll also demonstrate that you have a strong self-awareness and that you’re motivated. While you may not have the relevant work experience, you can always talk about the relevant skills that you have gained throughout your years in polytechnic or university. You can start by looking thoroughly at the job description of the intern position you are applying for. Look for keywords or points that indicate the relevant skills needed for the task, and use them in your favour. Attract recruiters by stating the relevant skills that you possess. What’s important here is for you to provide evidence that you have these skills. Make sure to demonstrate how you’ve gained these skills through real-life experiences. Remember, the key is to show, not tell! They do not have to be professional or work experiences, and can include experiences, such as school projects or other extracurricular activities. Such skills can include team-working skills, communication skills, and other transferrable skills. If you are applying for a more technical internship role, you may also mention the notable technical skills you have gained through academic courses and assignments. You can also dedicate a section in your internship résumé that lists your achievements. These can include academic awards, scholarships and other recognitions that are worth mentioning. If you have held (or are still holding) a position in a student club or society in your polytechnic or university, you can include a description of your role and more importantly, what you have done. If you have participated in any events or activities, you should also include a brief description of your contribution. Also, aim to quantify your achievements. For instance, you can mention that in your role as part of the sales and marketing committee of the XYZ club in school, you have helped to increase sales over the last academic year by 30 per cent. Putting a number on it makes your achievement clearer and more persuasive, allowing employers to gauge your abilities better. However, do be warned – integrity and honesty are two values that will take you a long way in both your personal and professional life. If you decide to fabricate details about your achievements, the truth will catch up eventually. Some seasoned recruiters are able to tell from experience whether an applicant is truthful about what they say, especially during the job interview process. The last thing you want to do is make a bad name for yourself even before you really started building your career. Think about the projects and assignments that you have done and how they reflect your career interests (which should align with the internship that you are applying for). This could be your final year project, or even a blog you’ve started where you write about issues pertaining to the area of work you are passionate about. If you have any noteworthy ones, list them down, and briefly describe them in your résumé. This section will demonstrate to recruiters your dedication and interest, as well as your knowledge of the industry in question. Should you proceed to the interview round, be prepared to answer questions regarding the projects you’ve described. As this section can be a likely source for interview questions, make sure that the projects you list in your résumé are significant and relevant to the internship position you are applying for, so that you can link them back to how the experience makes you a suitable candidate. Using IT and technology skills to help manufacturing companies create a smoother supply chain. The retail banking sector mainly involves serving customers in their daily financial needs.